It’s owned by the local council and is on the edge of a major UK City… it’s hardly edgy though. 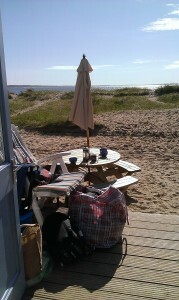 Can you guess where it is? 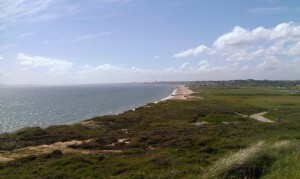 It’s Hengistbury Head, the headland that juts out of the coastline and marks the most easterly part of Bournemouth. 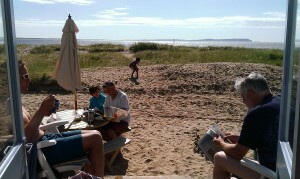 The head itself offers superb views of Poole Bay to the west, and the Isle of Wight Needles to the south east. Looking north away from the sea there’s Christchurch Bay and the amazing Mudeford Spit, home to what must be some of the most exclusive beach huts in the UK. Bournemouth Borough Council had the foresight to buy the lot in 1925 for £25,000. 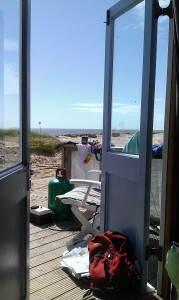 In 2012 one beach hut alone was reportedly bought for £170,000 almost nine times that figure. 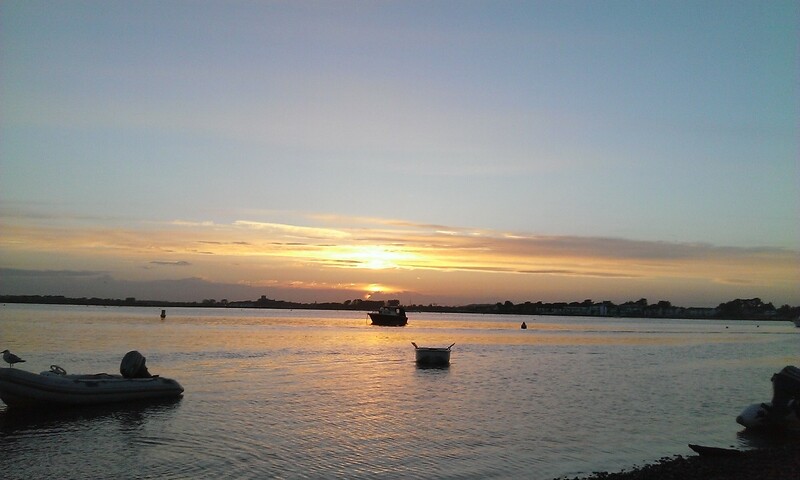 The cost of land may change but the striking beauty of Hengistbury Head and the natural charm of the area never changes. 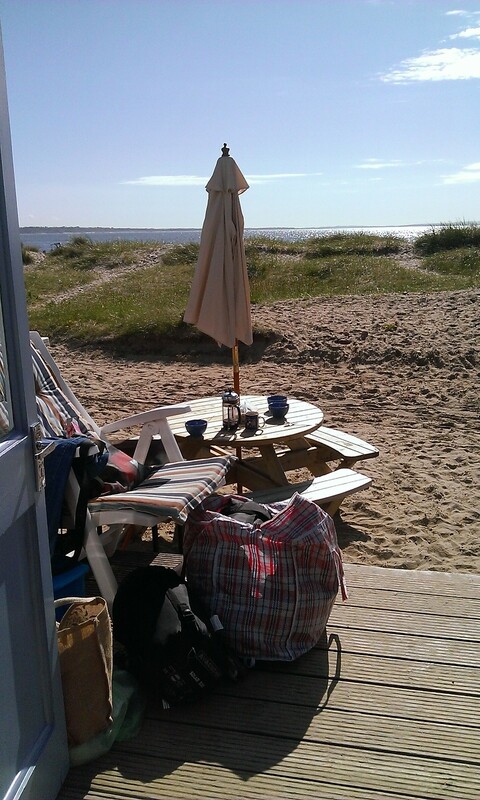 It’s now a Site of Special Scientific Interest and the whole area is a local nature reserve. It’s home to 500 plant species, 14 of which are nationally scarce, and 700 different types of moths! 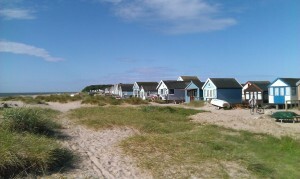 You can catch a short ferry from Mudeford Quay over to the Spit and walk amongst the beach huts until you reach the Head itself. Less than 40 metres above sea level, it looks much higher as it imposes itself over the low level environment surrounding it. Approaching the area from Bournemouth itself, you can check out the new visitor centre (and café) near the Hengistbury Head car park before walking, cycling or catching a land train to take you to the spit. It takes around 20 minutes to walk which gave us plenty of time to take in the beauty and tranquillity of the area. 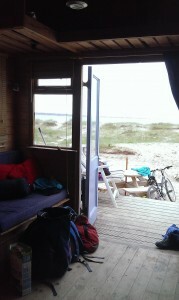 We were lucky enough to rent a hut for the weekend, right on the beach. It was bliss….if this is city life then let’s have more of it!